Long-time Google and Alphabet executive Chairman Eric Schmidt has announced his intention to transition to a "technical advisor" role —but will keep a seat on the board of directors. Alphabet announced the transition in a statement on Thursday afternoon. The company expects that the board will appoint a non-executive chairman, similar to the role that Arthur D. Levinson retains with Apple. "Larry, Sergey, Sundar and I all believe that the time is right in Alphabet's evolution for this transition," Schmidt said in a statement. "The Alphabet structure is working well, and Google and the Other Bets are thriving. In recent years, I've been spending a lot of my time on science and technology issues, and philanthropy, and I plan to expand that work." Schmidt served as the Chief Executive Officer of Google from 2001 to 2011. At the time, Schmidt was responsible for building the corporate infrastructure needed to sustain Google's growth as a company. Founder Larry Page replaced Schmidt as CEO. "Since 2001, Eric has provided us with business and engineering expertise and a clear vision about the future of technology," Page said about Schmidt's transition. "Continuing his 17 years of service to the company, he'll now be helping us as a technical advisor on science and technology issues. I'm incredibly excited about the progress our companies are making, and about the strong leaders who are driving that innovation." According to Schmidt, he was "adult supervision" for co-founders Sergey Brin and Page. 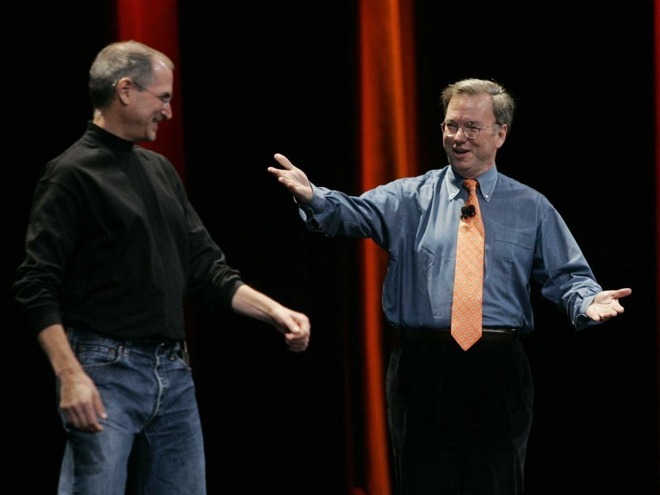 Schmidt was at the core of the "no-poach" agreements between Adobe, Apple under Steve Jobs, Google, and Intel. He also served on the Apple board of directors between Aug. 28 2006 and Aug.3, 2009, and stepped down to avoid any conflicts of interest.